Who Can Fix Your AC or Furnace in Las Vegas, NV? Sahara Air Can, That's Who. Home » Who Can Fix my Air Conditioner or Furnace in Las Vegas, NV? Who Can Fix my Air Conditioner or Furnace in Las Vegas, NV? 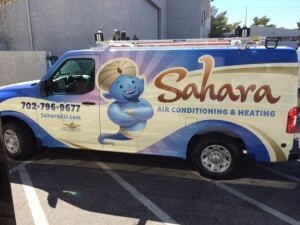 The HVAC pros at Sahara Air Conditioning & Heating, Inc., can – that’s who! Our team of certified AC, heating and HVAC professionals are ready 24 hours per day to handle all your repair needs. Call 702-796-9677 for fast, guaranteed HVAC service and repair. What’s involved in repairing your AC unit or furnace you ask? There can be several reasons why your your heating or cooling system is broken, and the HVAC pros at Sahara Air will thoroughly investigate all of the possible causes before recommending a repair. No matter what’s causing the problem, you can rest assured that we’ll get your system back in working order ASAP, and all work is guaranteed. And we’re not just experts in heating and cooling repair…living in Las Vegas, we know how important a properly functioning air conditioner is for your family’s comfort, so we offer a full range of HVAC services. HVAC Services offered by Sahara Air Conditioning & Heating. We’ve been serving Las Vegas with quality, guaranteed HVAC service for nearly 40 years. Give us a call today and learn why we’re the best choice in town. Why Choose Sahara Air Conditioning & Heating?